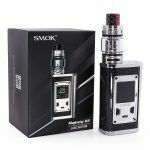 The Smok X-Priv Vape Kit, a perfect combination of power and beauty. It’s covered with glassy material at front, which can offer you a deluxe appearance and a high-definition screen. It employs newly designed UI, more simple and intuitive than other products. 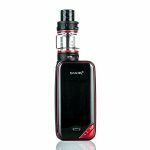 And its output power can up to 225W, which can meet different demands of vapor chasers. 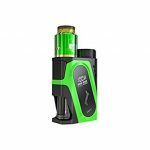 Moreover, it uses TFV12 Prince tank, with powerful V12 Prince cores you can fully enjoy the massive vapor.